Via Transformers Colombia Facebook Group we can share our first sighting of Siege figures in South America. 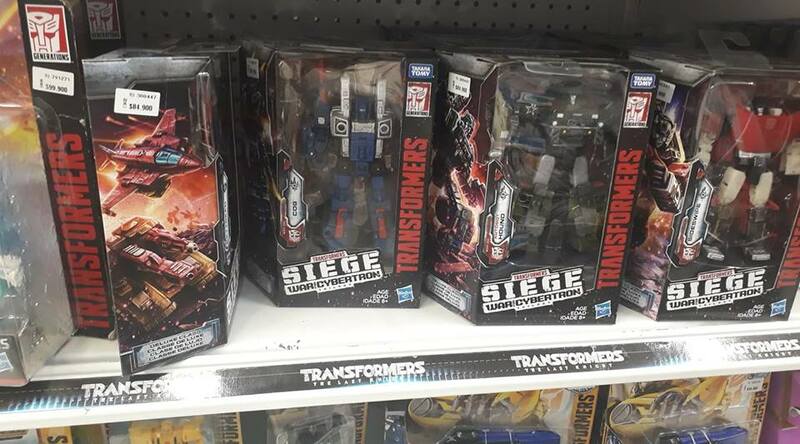 The War For Cybertron: Siege Deluxe Wave 1 has been spotted At Colombian Retail. Siege Deluxe Wave 1 Sideswipe, Cog, Hound and Skytread were found at Pepe Ganga in Bogota, Colombia for 84.900 pesos each ($27.10 approximately). Good news for our fellow Colombian collectors and a great sign of the Siege toyline to show up in the rest of South America any time soon.